This statement lamp shade boasts a teal blue satin surface and classic drum profile for the ultimate designer touch. This teal blue drum lamp shade is a great way to add a fresh look to your home. Lustrous satin is paired with a detailed silver gray trim and matching liner for a delightfully dynamic design. Perfectly versatile, this chic shade complements any style of home decor. And with the convenient chrome spider fitter, it's easy to dress up your favorite lamps with color and sophistication. 14" across the top x 16" across the bottom x 11" on the slant. Teal blue satin drum shade. Silver gray trim and liner. The correct size harp comes free with this purchase. To compliment my new contemporary lamp base of teal and rust, together with my sea-foam colored living room furniture. It is exactly the color and shape of shade I’ve been looking for. I ordered a teal daybed. These lampshades are a perfect match! Color looked like the one I have been looking for. Matches the color EXACTLY to my Mediterranean teal silk taffeta curtains. BEAUTIFUL. 2nd one I've ordered - bought a floor lamp that came with a black shade - the glass tabletop shattered, vendor didn't want the lamp back, sent me a replacement - now I have 2, so I needed this second shade. It really is stunning in person. Almost wish I had a need for some of the other colors. picture shows color that should match my satin mediterranean teal curtains perfectly! Goes with a Buddha lamp I've inherited from my mother's home. Good looking larger lamp shades are hard to find. Finding a store that sells nicer lamp shades is even worse. Hopefully they will work out as planned. I didn't review the return policy. My mistake. I have faith that all will go well. It's the color I've been searching for and could not find anywhere! BEST ANSWER: I am sorry, this is not offered in any other sizes. What can you measure to know what length to get? 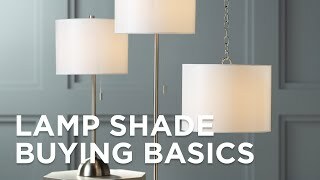 BEST ANSWER: The scale of the shade is entirely up to the lamp owner's preference, but the final choice will fit the lamp properly if the bottom of the lamp shade fully covers the lamp socket but does not cover any of the base. This usually means that your choice will be 1" taller than the metal harp holding the shade up. I bought two of the Teal shades to match new Teal bedding. Online the color seemed a bit darker, like my bedding, but in person the Teal is a bit brighter and more vibrant that it appears online. I am pleased with it though. The shades will go on a simple swag chain and hang over my night stands. They really add such a nice element to the room, makes me think of lamps and shades as design elements and not just lighting. 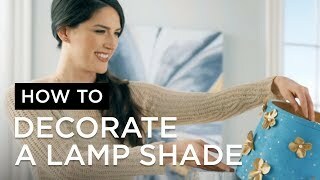 I would recommend this shade for someone looking for an elegant lamp that adds a beautiful glow to the room. Doesn't project much light from the side, which I love about it. I bought a $49 lamp from another site and turned it into a $400 lamp with this shade. The color added drama and the satin finish added sophitication. Love it! Very beautiful lamp shade. Love the rich color. 5 star stunning and THE now color! Beautiful! Excited the moment I took the packaging off! Love it, perfect with my living room couch. Prompt and well protected delivery!! Would buy from Lamps Plus again!